This year, as Chinese New Year (CNY) was just right after Christmas, I didn't have the luxury to do many bakings. Therefore, I chose to bake the easier better ones. These were what I baked. The recipe for the crust were from Zu's Kitchen. The pineapple paste were bought from PH, our local baking supplier. This year, their "premium" pineapple paste was really good, not too sweet, moist and tasty. I decided to try this after seeing some online. Unfortunately, there was no recipe. So I came out with my own. 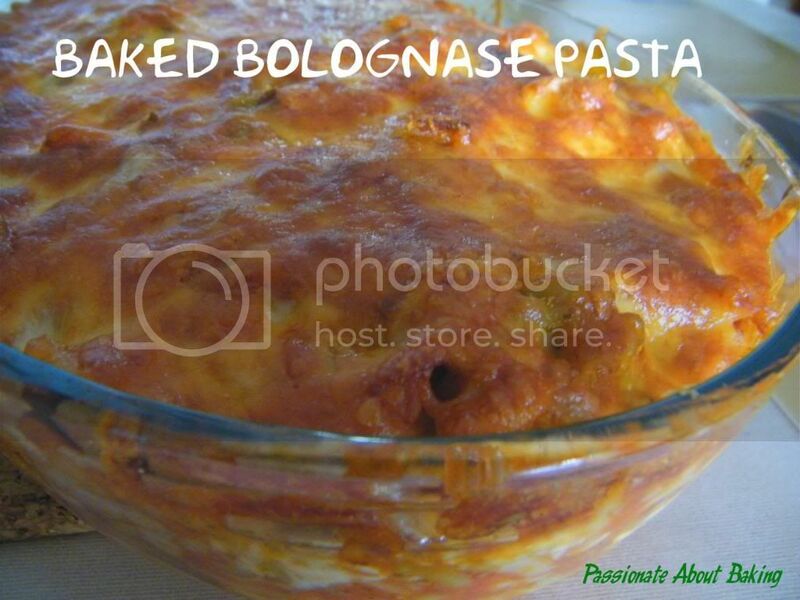 Recipe can be found here. Last year, when I tried this, it didn't turn out to be melt in the mouth. However, this year's texture was good. It was really melt in the mouth kind. The recipe was taken from Wendy's blog. This almond cookies is a must every year. The recipe was extracted from my professional baking school previously. This year, I decided to add green tea to the taste. I think I have over baked it a little. I'm not a big fan of fruit cakes. However, since I started baking it some two years ago, I have started eating mine! I baked this for my in-laws and my spouse. The recipe was taken from Wen's Delight. 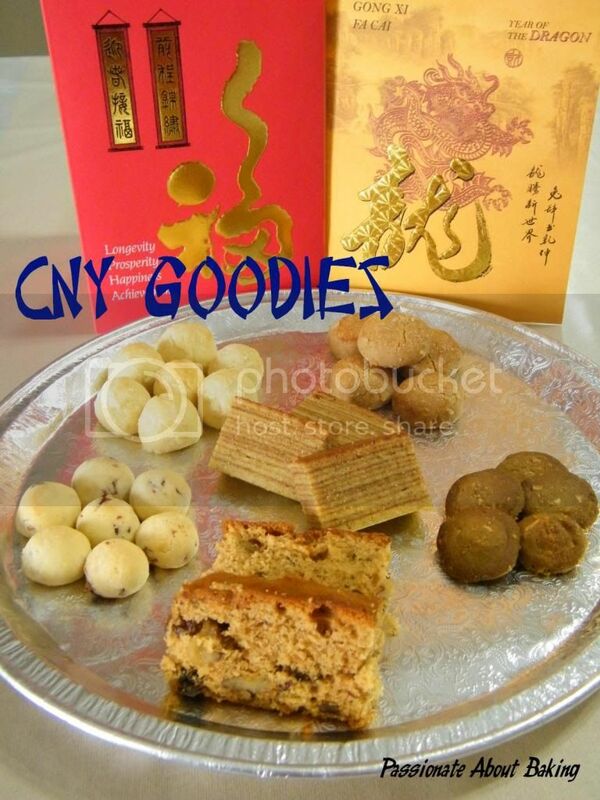 Since I started making this, I've been making this every year for CNY. Sometimes, I make it into different flavours. This time, I decided to stick to the original flavour. The recipe was adapted from Do What I Like blog. 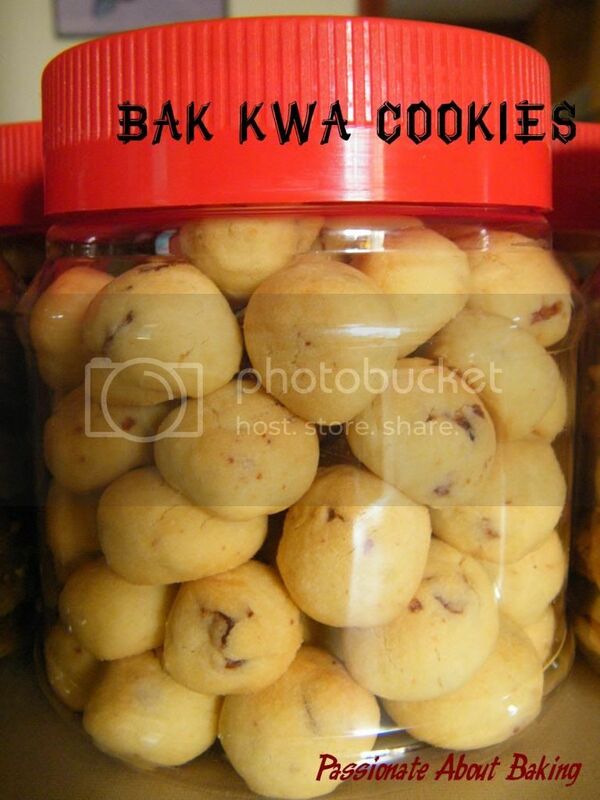 I've read and saw many bak kwa cookies and was very tempted to try it. 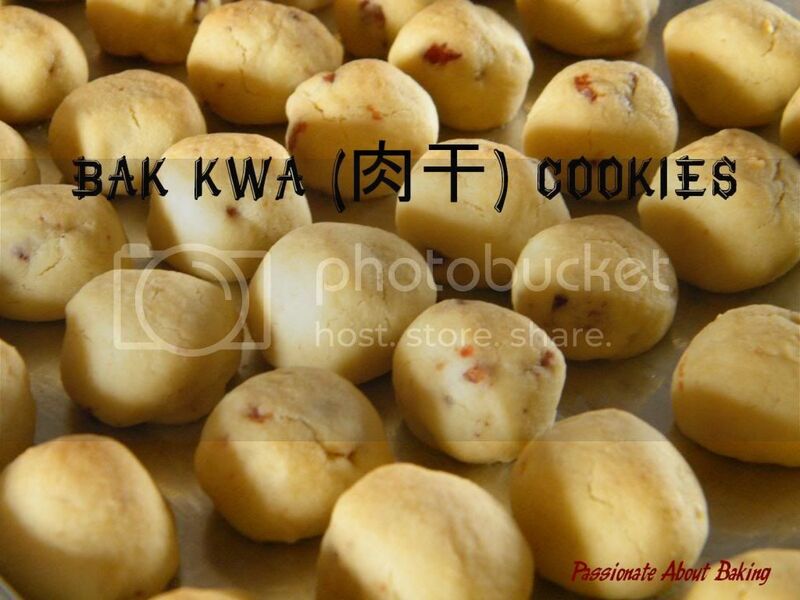 When Doris recommended me the pineapple tart crust from Zu's kitchen, I reckon I could use the dough, modified it and turn it into Bak Kwa Cookies. So here it is. 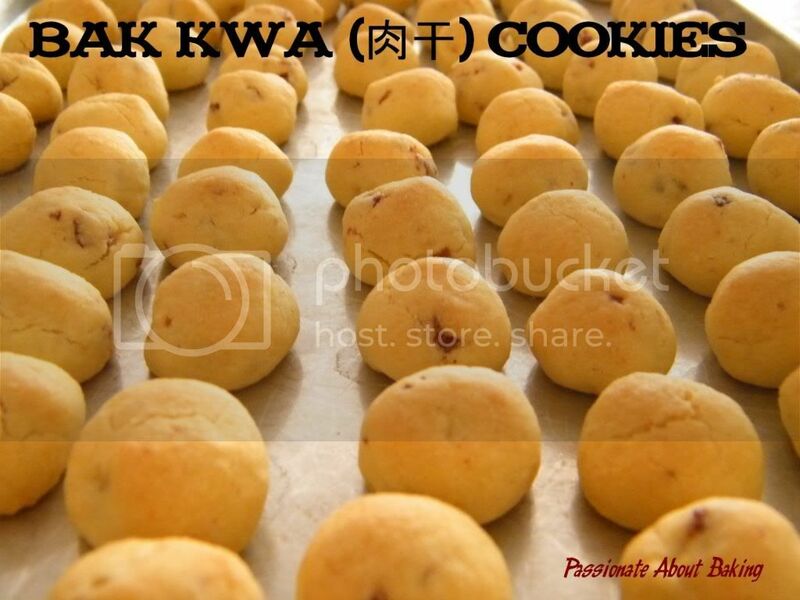 The cookies is crispy with chewy bak kwa bits. Trust me, it gets very addictive! Be sure to control yourself! Put the dough in a plastic bag, roll it out evenly. Refrigerate it for at least 30mins until firm. Bake at 180C for 16-18mins, or until it turned slightly brown. 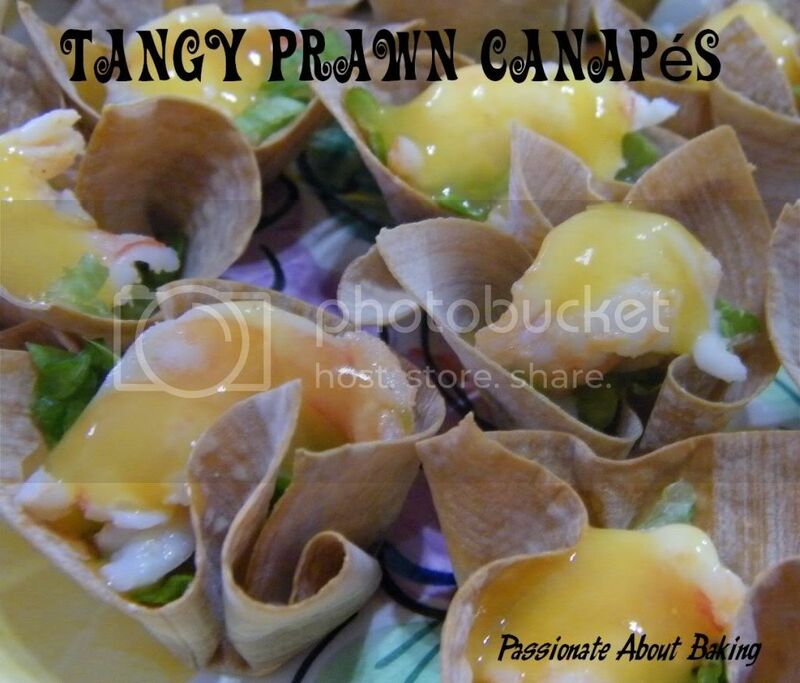 This is a simple dish to make as appetizer for your Chinese New Year (CNY) celebrations. 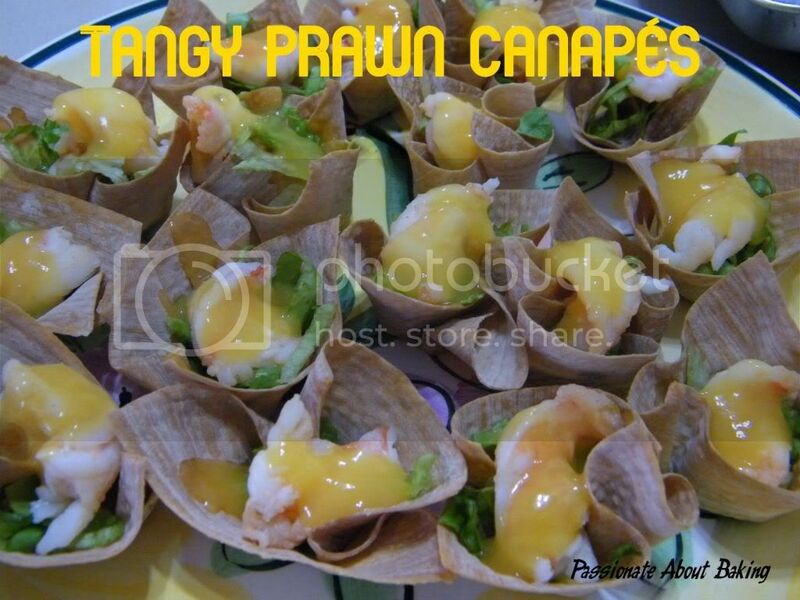 It contains prawns (哈哈大笑), and orange (大吉大利) which is very suitable for CNY. I also added shredded lettuce to make it more colourful. You can add more ingredients like carrots or some finely chopped nuts. 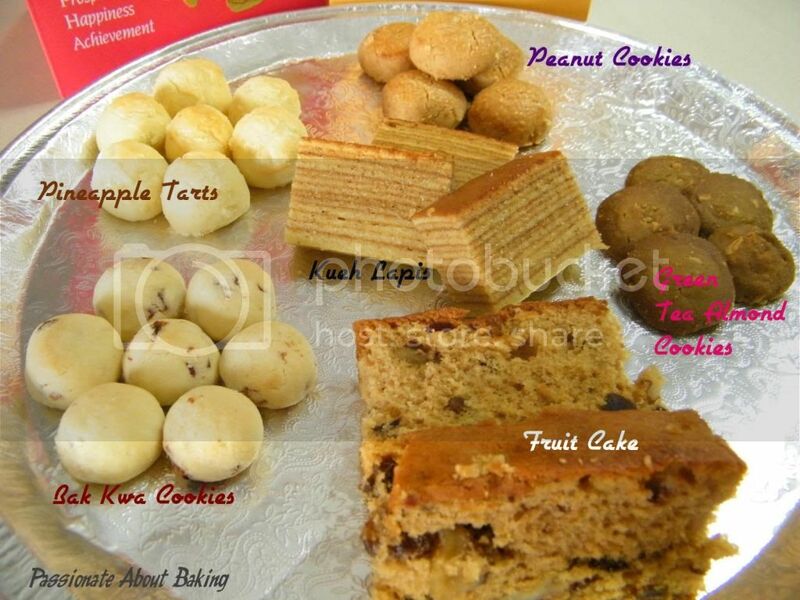 I'm submitting this to Aspiring Bakers #15: Auspicious Dishes for CNY (January 2012) hosted by Wen of Wen's Delight. To prepare the wanton skin. Place the wanton skin in mini muffin tray. Open up the corners. Bake in a preheat oven of 180C for 8-10mins, or till browned and crispy. To cook the tangy sauce. Place all the ingredients in a saucepan. Stir to mix well before bringing it to a boil. Leave it to cool till tepid. To assemble. Place some shredded lettuce in the wanton skin cup. Push them in. 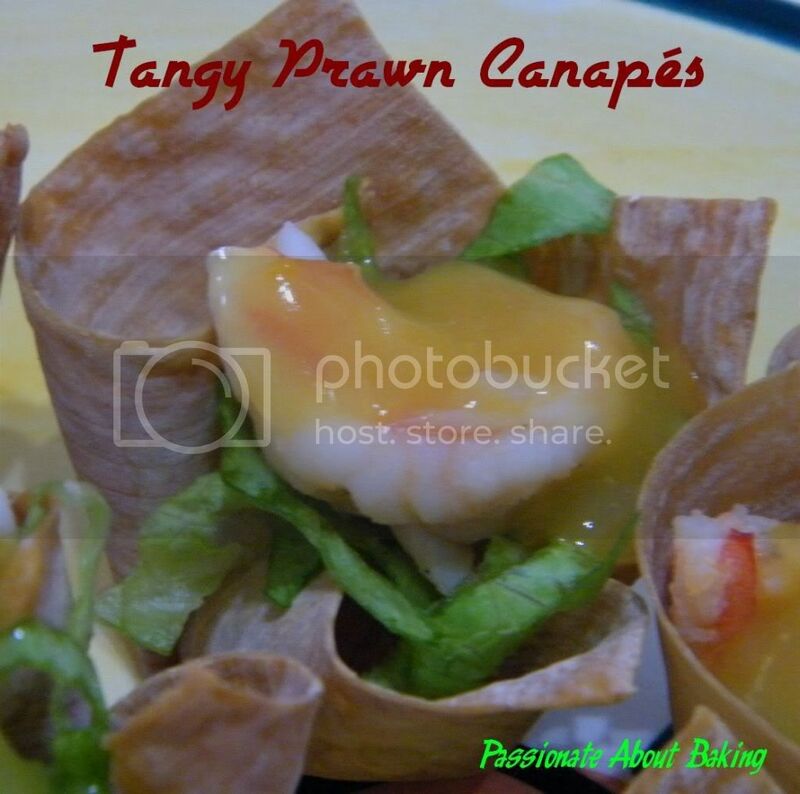 Put the cooked shrimp on top, then spoon the tangy sauce into the wanton skin cup. We have this group of family friends whom we usually meet up once a year, either year end, or during Chinese New Year period. This year, I volunteered to be the host. As usual, when it comes to guest that I don't meet often, I usually fall back on foods that I'm confident it will not go wrong. For this gathering, I made Baked Bolognase Pasta, Smoked Ham Gratin, and Chocolate Tartlets. We also ordered a Turkey from the local supermarket. When my spouse collected it, we realised it was not cooked! I had to hurry through my bakings so as to roast the turkey. Fortunately, the turkey wasn't too tough! 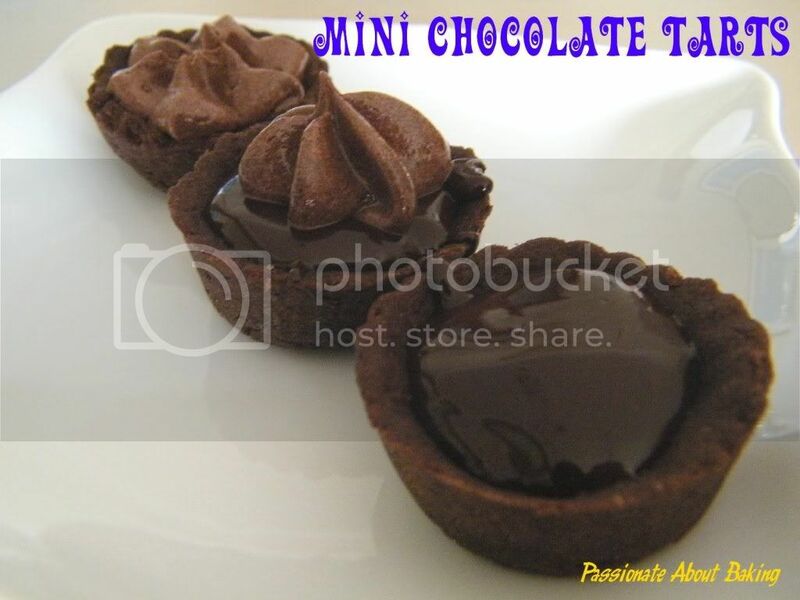 The chocolate tartlets were very nice. 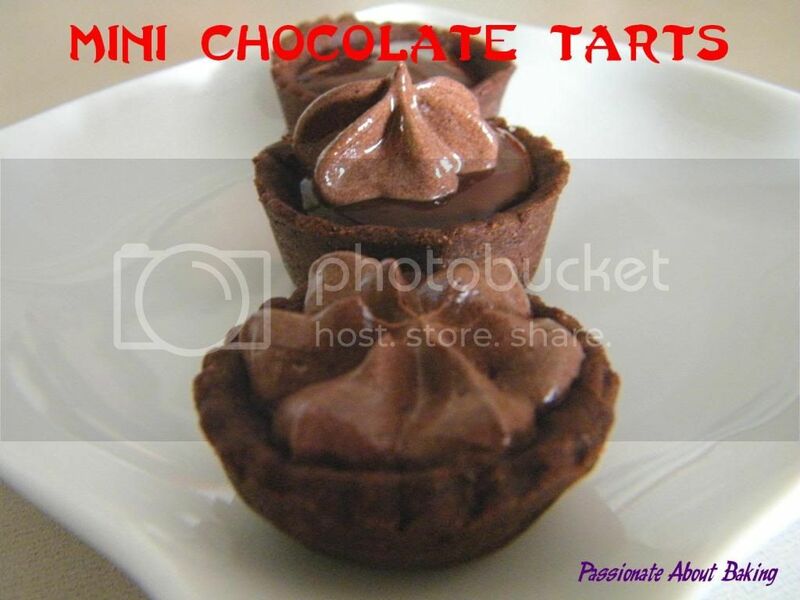 I used a mixture of 55% and 72% dark chocolates for the filling. As I had some leftover chocolate swiss meringue buttercream (SMB), I piped some SMB on the tartlets and it was really "sinfully" good! In fact, one of my friend preferred the tart with just SMB fillings! I like the chocolate tartlet with some SMB frosting. Try it, I'm sure you'll agree! Add egg and mix till well blended. Sift flour and cocoa powder into the batter. Gather them into a dough. Flatten dough into a disc and cover with plastic cover. On a floured work surface, roll the dough into a 0.3cm thick sheet. Use a round cutter to press out the dough. Place dough into prepared tartlet tins, ensuring that dough is well pressed into sides and bottom of the tin. (I used a 12 mini muffin tray for the tarts). Bake the crust at 180C for 12-15mins. Bring the cream to a simmer in a medium saucepan over medium heat. Add the hot cream into the chocolate and let it stand for 1 min. Spoon the ganache into the tartlets. Refrigerate till firm before consuming. Happy new 2012 everyone! Hope we bake more tempting treats in the new year!